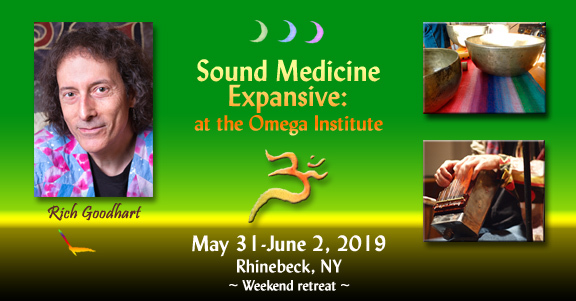 Most of us in the Sound Healing community, as well as many in the New Age, energy healer, esoteric spirituality communities at large have likely heard about the mystical or sacred tone and tuning of the reference note A to the frequency of 432Hz. There is quite a bit of information spread all over the internet on websites and videos about this phenomena, including all sorts of historical references, health effects of 432 vs. 440, and even mind control conspiracies involving Joseph Goebbels and the Nazis and the shady workings of a former United States military man named JC Deagan. Let me get straight to the point: nearly all of this information is blatantly false. This may be unfortunate for those building careers as mystics or healers using the esotericism and mystique of 432 as one of their foundation blocks, however it is up to them to allow in new awareness and let go of where they have been misguided. For those who knowingly propagate these lies in order to sell products and services, it is up to us not to buy into them, as well as to speak the truth and raise the collective awareness when opportunity to do so presents itself. Aware of the opportunity and risk of writing a very long and detailed article here, I will instead attempt to keep it reasonably brief and more simply cover some of the primary claims and evidence. First off, many in the “432 movement” speak of a “return to the former tuning standard of A=432Hz”, turning back from the international conference in 1939 that set A=440 as the standard (thus initiating all sorts of modern ills, intentionally or not, through this “unnatural vibration”, or so 432 proponents claim). REALITY: There NEVER was a standard of 432Hz agreed upon by countries, cultures or concert halls in known recorded history. The only historical records we have of 432Hz as a tuning standard are it being proposed in Brussels, Belgium in 1876, and again in Milan, Italy in 1881. Further, A=440Hz has been around as a reference pitch in a number of locations in Europe since at least 1812 – well before Goebbels, Deagan or the Nazis were even born. The truth is, the "standard" pitch for A has historically been all over the place, from approximately 370Hz on up to at least 455Hz, but almost never 432Hz. (In Germany, some early simple pipe organs had an A as high as 567Hz!) Some concert halls in Europe still use A=444Hz and throughout the 1800's it was anywhere from about 422Hz up to 452Hz , though never officially 432Hz, except possibly in Italy in the early 1880's. The history of pitch standards is an extensive one and it would take several pages to even briefly discuss it here. Search the internet and see the links below if you are interested to know more. I'll simply add that in 1859 a French government commission made A=435 the law in France, and in 1896 Britain made A=439 the standard in that country. There continued to be no standard in North America well into the 20th century. A primary basis for choosing A=440 was as a compromise between opera singers who preferred a lower pitch standard to preserve their vocal health and orchestras and instrument makers who preferred a higher pitch standard as it made instruments brighter, project further and fill increasingly larger concert halls more effectively. CLAIM: Mozart tuned his piano to A=432. CLAIM: Stradivari made his violins to be tuned to 432Hz. REALITY: There is no known documentation of this intent. Again, there was no 432 pitch standard in his day for musicians to be tuning their violins to. What we do know is that with one carefully disassembled Strad, the front plate had one of several tap tones at a C=512Hz, which would relate to an A=426.66 in Just intonation, 432 in Pythagorean 5ths, and 430.5 in Equal Temperment. But do we even have any idea that this is what Stradivari was aiming for with that tap tone, and if so, why? (Classical string ensembles are usually playing in just intonation for the aim of good harmony and soloists and lead melody aim for both just intonation and Pythagorean 5ths, as well as expressive intonation, depending on what notes, harmony and emotion they are playing.) Pitch standards were generally much lower than A440 during Stradivari's “golden years” of instrument making (1700-1720's), but they were also much lower than A432. Known references from that period mostly fall into the 404Hz – 415Hz range. The tuning fork was invented by British musician John Shore in 1711 and one of his forks is still in existence which measures at a pitch of A=423.5Hz, sitting at the higher end of the common range of that period. Why would we have justifiable reason to surmise that Stradivari was making instruments designed to be tuned much higher than the tuning practices of his day? Most importantly however, it is not desirable to have the resonant tones of a violin match the string pitch and reference tuning as you then get annoyingly exaggerated notes called “wolf tones”, which are a very real problem with violins. Instead, you want the instrument resonances to be off scale, or in between the scale tones, ideally around 20 to 40 cents off. If there were any evidence of intent to be found in that 512Hz tap tone it would more likely be that Stradivari was expecting his violin to not be tuned to an A=432 reference. CLAIM: Pythagoras and the ancient Greeks tuned to A=432Hz. REALITY: Pythagoras mathematically figured out scales and tuning using numbers as ratios but not as measured frequencies in Hertz, i.e., cycles per second. Beginning with the number 1 and then doubling for octaves (2, 4, 8, 16, 32, 64, 128, 256, 512 etc...), we get a note of 128. Beginning with C=128 and using Pythagorean 5ths (aka Twelve True Fifths) tuning we do get an A=432. But again, Pythagoras was using convenient and logical whole numbers as ratios, NOT measuring frequencies nor tuning to those numbers as cycles per second frequencies of sound waves. 1. Pythagoras did not have the technology to measure the frequency of sound waves. 2. Pythagoras and the ancient Greeks did not measure time with the unit of the “second”, as that unit of time measurement had not been created yet! CLAIM: Ancient Egyptians tuned their instruments to A=432Hz. REALITY: False again. Not only no historical evidence of this, but also no evidence they were measuring sound vibrations in cycles per anything, let alone the unit of time we call the “second”, which, like the ancient Greeks, they didn't have. CLAIM: "Even the Tibetan singing bowl is tuned to 432Hz." (Actual quote from a 432 website). REALITY: Again, entirely false. For one thing "the Tibetan singing bowl"?? There are thousands of bowls, hundreds of forms and styles of making them. Most bowls have very complex harmonics and none have a pitch reference standard. CLAIM: "Shamans and even other religions use the 432Hz tone in their songs, during the Ayahuasca healing ceremony." (Actual quote from a 432 website). REALITY: More complete untruth. The ayahuascaros and other shamans are working with the tones of their voices as they exist for them in that moment. They are not working with a universal "perfect pitch" sense that magically tunes them into a 432Hz reference. There is no common standard of pitch or tuning in their ceremonies and singing. CLAIM: " ...the sounds, birds, frogs, running water etc... These sounds consist of vibrational frequency, which is measured in Hertz (Hz). All of these natural harmonics vibrate at 432 Hz, and it’s the natural frequency of the universe." (Actual quote from a 432 website). The unit of time that we call the “second” was introduced conceptually by the Persian Muslim scholar and mathematician al-Biruni around 1000AD. The “second” means “the second division of the hour by 60”. The earliest clocks to display seconds didn't appear until the last half of the 16th century, though they were not accurate. Pendulum clocks created in 1644 by the French philosopher, mathematician and music theorist Marin Mersenne provided the first known accurate measurement of the second. Mersenne also was able to make rough measurements of low tone frequencies, and Joseph Sauveur improved on the accuracy in the early 1700's, however such measurements did not become scientifically accurate until the 1830's, beginning with the work of German physicist Johann Scheibler. Prior to this time, the actual frequencies of tuning forks owned or used by Mozart, Handel and others were generally not known to their users. DaVinci developed the idea of sound waves around 1500 and Galileo demonstrated this idea around 1600. Any reference to sound waves being accurately measured, or instruments tuned to any vibrations per second numerical standard before this time in recorded history are not true. It also needs to be noted that frequency measurements are not "real" in that they are not actually indicating a phenomenon that contains anything numbered. The notes that we call 432 or 440 or 528 etc do NOT have those numbers associated with them in the actual manifestation of the phenomena. There are no 432 of anything happening in a 432Hz tone. It is ONLY a measurement of rate or speed made against the artificial time grid of the unit or space of time we call a "second" that gives us a numerical identity. Only if we are listening to a sound for precisely one second will we be experiencing 432 vibrations from a 432Hz tone. Virtually never do we experience music in such a manner. Sound and music are vibration happening in various and complex ratios, but NOT in numbered quantity, thus rendering any imagined or possible mystical or sacred quality associated with the number 432 meaningless in relation to listening to or otherwise receiving sound and music vibrations. A particular leaf having five points, or a cluster of seven pine needles on a certain species of pine tree are actual “real” numbered phenomena.... not so with sound waves. REALITY: Precession of the Equinoxes actually takes 25,772 years. Additionally, Saturn's year is equal to 29.46 Earth years, not 30. So the numbers need to be “adjusted” to make it appear as a cosmically perfect (“the natural frequency of the universe”??) alignment with 432. Ironically, (or maybe it's the cosmic joker at play) If we do the math using the correct precession number of 25,772 and a Saturn year of 29.46 we get 437.41 – a lot closer to 440 than 432. If we use the incorrect precession count of 25,920, which is needed to make 432 neatly work, and use the accurate Saturn year of 29.46, we get a result of 439.92 – which for practical purposes is 440!! Finally, and in my experience as well as that of my most respected teachers and colleagues, there is no “sacred” note or special tuning magic pill to be found. The reality of music and sound and their effects on life, health and healing are far more complex than any particular note or reference pitch standard. One's state of consciousness ultimately comes from within and it comes from finding balance and flow in relation to the countless phenomenon existing all around us and moving through us. The consciousness, attunement, awareness, intent and skill of an artist determines the energy transmitted, not reference pitch. The conscious, cultivated and intentional (and even occasionally accidental!) use of sound can be a very potent, sometimes even seemingly miraculous, healing tool. The best sound healers I've ever known or experienced spent decades cultivating their art, often with the assistance of deep and profound life initiations. Their art and skill was never about simple fixes or “magic pills”, nor adherence to any sort of external, imposed structure or contrived dogma. That there may be cultural programming and societal mind control perpetrated though modern music as some 432 proponents claim is not what I am arguing against. But it's existence is in the lyrics, rhythms and other design factors of the music, NOT in the reference pitch - AND it only works if you unthinkingly subject yourself to it, like is also possible with TV commercials, "reality” TV shows, corporate news, etc, etc, etc. Lowering the pitch reference by 8Hz - to a newstandard, not an old one - isn't going to change any of that. In regard to the various 432 claims, I have no interest or need to call out anyone by name. Between websites, YouTube videos and various blog and forum postings, there are probably hundreds of opportunities to read or hear the same or similar claims – a large amount of which are simply copying and pasting the same material without applying any original or critical thought. These pages are easy to find, and if you are reading this article then you may well be already informed of the “cosmic attunement” of the “mystical” 432Hz. Regardless of their proliferation, repeating falsehoods countless times does not make them true. I will note the name of Leonard Horowitz who makes some rather grand claims regarding A=440, however he proposes A=444 and C=528 as the “natural” frequencies, not 432. Yes, there's a 528 “movement” too. The writings of Mr. Horowitz is a discussion in itself and not for the scope of this brief article. You can easily find plenty about his ideas on the internet. It may be noted that Greek mathematician Ptolemy actually described the second as 1/60th of a minute around 150 AD. However he was measuring space, i.e., one degree of angle divided into 60 minutes, divided into 60 seconds. He was not applying it to the measurement of time. Italian opera composer Verdi did propose A=432 in the late 19th century as a slight lowering of the French 435 standard, for vocal reasons. There is no evidence that he did so for philosophical, spiritual or cosmic reasons. As mentioned, using Pythagorean 5th's as a static tuning system does not create in tune harmony throughout. In Just or Perfect Intonation, C=256 yields an A=426.66. In equal temperment, which is an imperfectly harmonized system of compromises designed so that pianos, organs and other fixed pitch instruments can be played equally in all keys, C=256 yields an A=430.5. In regard to Mr. Horowitz's numbers, A=444 and C=528 coexist in equal temperment. Ironically, in Perfect Intonation, it is A=440 that aligns with the “mystical” C=528. If we are going to explore the potential health or consciousness affecting properties of music, we might want to consider actual naturally occurring harmonic relationships rather than being caught up in anyone's obsession with abstract numbers. You may prefer your music detuned to an A=432Hz reference, even if the effect is simply the novelty of a new sound to your ears or the result of a placebo effect. That's fine and who am I to argue with that? Tuning anything down from whatever you are used to is going to give it a softer tone. However, using digital software on your computer to lower the pitch of recorded music (a practice the 432'ers use to provide “evidence”) does not give you something “real” in terms of it being what you would have gotten if the musicians had tuned their instruments to A=432 in the first place. Changing the tuning on the actual instruments played changes the string tension, which also changes the tension being applied to the sound boards on guitars, violins etc which together changes the harmonic overtone structures of the sounds generated by those instruments. The same applies to vocal cord tension. Saxophones, flutes and many other instruments would also experience subtle changes in their tone. In a world with an international A=432 standard, instrument makers would be building their instruments and strings for optimal performance at that pitch reference which would also result in a different sound than an A=440 instrument lowered to 432. When you lower the pitch of already recorded music with digital software, all of the string and vocal tension and associated harmonics or sound profile etc of the original higher pitch remain intact. You are not getting a true sonic representation of what the music in question would have sounded like if originally performed with an A=432 reference tuning. And what if we lower the tuning to 431 or 433? You will not perceive a difference between those options and 432. Sorry, but there is nothing special, nothing natural, nothing mystical about an abstract number within an abstract measuring system. Chart based on: Ellis, Alexander J. "On the History of Musical Pitch," Journal of the Society of Arts,(March 5, 1880). Milan as part of the MusicalExposition held that year, it was decided to stabilise pitch in Italy at 432. © 2015, Rich Goodhart. All rights reserved. Printed by permission. The basic concept that must be understood is, regardless of historical or metaphysical references, the Overtone System, which forms naturally, and follows Synergetic (Geodetic) growth. All vibrations begin as binary, i.e., two pulses, 2 Hz. The next accrual is ternary, 3 pulses, or 3 Hz. Next comes 3-squared, or 9 Hz. The next "fifth" formed is 3-cubed or 27 Hz. This happens, no matter what anyone thinks or believes about sounds.Thus, 2 Hz is C; 3 Hz is G; 9 Hz is D; and, 27 Hz is A. The fourth Octave of 27 is 432 Hz (27, 54, 108, 216, 432). This principle applies to all of Universe (see Buckminster Fuller). I have posted many videos on You Tube (Sonatherapy channel) demonstrating these growths and showing the Cymatic wave fronts formed, e.g., the geometries. Evidently, this simple concept is being ignored by most folks talking about A = 432 Hz. In healing with sound, and in combining frequencies to obtain proper resonances for cells, tissues, bones, nerves, et al, this law of physical acoustics must be observed. Same with composing music, actually. As may also be observed, the 3, 3-sqaured, and 3-cubed relationship also applies to the so-called Solfeggio Tones, and the "law of 3,6,9" posited by Nikolai Tesla. Quite simple - if we wish to used sounds for healing, we absolutely must follow these energetic scientific growth principles. And, this is what we teach to our practitioners - and how they create new and effective healing Sonations. I agree with what you are saying about the ratios and relationships, your math is real and not in dispute. But I very much disagree about a couple of other points. "All vibrations begin as binary, i.e., two pulses, 2 Hz." How does all vibration begin as two pulses? That makes no sense to me. In "time" it begins as one pulse, and over time becomes many pulses. And even if we go with that idea, those two pulses are in no way going to be exclusively 2Hz. That just simply is not true. 2Hz, as you know, means 2 cycles per second - it is a rate of vibration, not a count of the number of vibrations. We can and do have vibrations that begin at countless other rates of vibration. Sound and vibration simply does not arise in nature as a whole number factor of the unit of time called the 'second'. There is no evidence of this that I or anyone I know has ever seen, however if you do have evidence of this please show us. Additionally, no one has ever shown any evidence of where the 'second' is a naturally occurring phenomena. It is a man made unit of measurement - a very useful one, but not a 'real' cycle, like the day or year are. Thus 432Hz has no inherently special quality as a frequency, even as the number 432 is an elegant and useful number when doing the math and speaking of ratios and relationships. "...if we wish to used sounds for healing, we absolutely must follow these energetic scientific growth principles." I respect your work, your line of inquiry and your dedication to your research - but it sounds like you are saying that this is the only way, that "we absolutely must" follow this math and numbers if we are to use sound for healing. If that is not what you are saying then please correct my misperception, but if it is what you are saying then I must respectfully disagree. There are other ways that sound works for healing that are not concerned with math and numerical measurements. Knowing that this is true, having witnessed many times that this is true, does not negate your work at all. I am very much interested in seeing your work progress and the results you achieve, but it is not the only way. We live in a complex and multi-dimensional world. I wish to witness and celebrate a multiplicity of palpably real manifestations of healing with the assistance and support of sound - your way, my way, and others! Aristoxenus, an Aristotelian philosopher, argued that musical intervals should be classified by their effects on listeners as opposed to merely examining their mathematical ratios which was contrary to the Pythagorean. This notion by Aristoxenus, brought the scientific study of music into the mind, followed by the first psychophysics experiments at the dawn of experimental psychology, which mapped changes in the physical world onto changes in the psychological world. Aristoxenus, known in antiquity as 'o mousikos' ( the Musician), was born in Calabria, at Tarentum, Italy. A Greek Peripatetic philosopher, and a pupil of Aristotle. Most of his writings, which dealt with philosophy, ethics and music, have been lost, but one musical treatise, Elements of Harmony, survives incomplete, as well as some fragments concerning rhythm and meter. Aristoxenus sought to separate the study of music from that of both physics and mathematics. He refused to make use of any ratios in his treatise, distinctly contra the Pythagoreans, and he also spoke of the raising and lowering of pitch in terms of tension and relaxation, which in his day would admit of no exact numerical measurement, rather than in terms of string-length, from which ratios could be calculated. In his Elements of Harmony, Aristoxenus attempted a complete and systematic exposition of music. The first book contains an explanation of the genera of Greek music, and also of their species; this is followed by some general definitions of terms, particularly those of sound, interval, and system. In the second book Aristoxenus divides music into seven parts, which he takes to be: the genera, intervals, sounds, systems, tones or modes, mutations, and melopoeia. The remainder of the work is taken up with a discussion of the many parts of music according to the order which he had himself prescribed. Aristoxenus rejected the opinion of the Pythagoreans that arithmetic rules were the ultimate judge of intervals and that in every system there must be found a mathematical coincidence before such a system can be said to be harmonic. In his second book he asserted that "by the hearing we judge of the magnitude of an interval, and by the understanding we consider its many powers." And further he wrote, "that the nature of melody is best discovered by the perception of sense, and is retained by memory; and that there is no other way of arriving at the knowledge of music;" and though, he wrote, "others affirm that it is by the study of instruments that we attain this knowledge;" this, he wrote, is talking wildly, "for just as it is not necessary for him who writes an Iambic to attend to the arithmetical proportions of the feet of which it is composed, so it is not necessary for him who writes a Phrygian song to attend to the ratios of the sounds proper thereto." Thus the nature of Aristoxenus' scales and genera deviated sharply from his predecessors. Aristoxenus introduced a radically different model for creating scales. Instead of using discrete ratios to place intervals, he used continuously variable quantities. Hence the structuring of his tetrachords and the resulting scales have other qualities of consonance. Thanks Mitch. I did not know about Aristoxenus. I am curious to know what his scales sounded like. Any really good classical string player or blues singer also uses variable intervals, particularly with 3rds and 6ths. As mentioned in my article, Pythagorean 5ths do not create a particularily "in tune" scale when it comes to harmony. The notes of the Pythagorean 5ths scale are not the same as the 'perfect intonation' ratios, and they do not represent some 'highest order'. Interesting to see an ancient Greek philosopher disagreeing with Pythagoras, not too far long after Pythagoras himself walked the earth. Historians claim that he wrote 453 books, a student of Aristotle. Some academics feel he wrote musical history actually. I feel that Aristoxenus is more in line with how many of us feel regarding the effects of music on people rather than the Pythagoreans. Farabi also disagreed with the Pythagoreans as well. It should be noted that the Earth's year is calculated as a C# that is about 31.4 cents flat of a C# tuned to 440. Since 432 is about 31.75 cents flat of 440, it seems pretty logical to say that C# 136.1 or A 432 is essentially the same tuning. I use the 86400 seconds per day times 365.242222 method to determine the amount of seconds in Earth's orbital period. Then I invert and multiply times 2 until I reach an audible resonance. Although Cousto "invented" this method, I must say it is quite simple and I actually figured it out independently before learning of Cousto's book or even the existence of planetary tuned instruments. It should be noted that the Earth's year is calculated as a C# that is about 31.4 cents flat of a C# tuned to 440. Since 432 is about 31.75 cents flat of 440, it seems pretty logical to say that C# 136.1 or A 432 is essentially the same tuning. I use the 86400 seconds per day times 365.242222 method to determine the amount of seconds in Earth's orbital period. Then I invert and multiply times 2 until I reach an audible resonance. Although Cousto "invented" this method, I must say it is quite simple and I actually figured it out independently before learning of Cousto's book or even the existence of planetary tuned instruments. However the 136.1 to 432 claim is not an absolute, nor is it accurate when using naturally occuring relationships. Starting with the Earth year orbital tone of C# =136.1Hz, you can calculate the minor 6th, which is the 'A' you are looking for, using Equal Temperment, and arrive at an A=432.1Hz. Yes, no argument there at all. However, Equal Temperment is a compromised system where ALL of the notes have been adjusted, that is detuned from their natural harmonic tuning, in order to make pianos and other instruments play equally in all keys. Thus, the 432Hz that you arrive at is actually an out of tune, compromised note. On the other hand, if we use Just Intonation, i.e., Perfect Temperment, and we do the same calculation, we get an A=435.5Hz. This A is the naturally occuring harmonic, in tune A. It is in a simple ratio of 8/5. Multiple 136.1 by 8 and then divide by 5 and we get 217.76Hz. Multiply by 2 to raise it up an octave and we get 435.52Hz. If we are going to talk about naturally occurring phemonena, in this case the orbit cycle of the Earth, and we are then going to relate this to sound waves, then it would also make sense to use a naturally occurring harmonically in tune sound formula, not a compromised, approximate and somewhat out of tune one. Cousto made a choice, a choice that is in error. As with so much of the "432 evidence", and which I pointed out in the article, we can adjust and approximate all sorts of numbers and calculations to make the results "look good" and confirm our beliefs. I am not saying that is what you are doing. But I am saying that the method that gives us an A of 432 being in alignment with a C# of 136.1 is very much based on compromise and adjustment. There is no logic in using that method when working with this phenomena if one is aware of a more accurate, and more naturally 'real' method. "Starting with the Earth year orbital tone of C# =136.1Hz" Please explain, I keep seeing this but can't recall why? But regardless, the point that I make is that trying to tie that "Earth frequency" in with A=432 is erroneous. It only works if we use a compromised imperfectly tuned system. If one wants to work with these planetary frequencies and tune them to other notes, then the actual naturally occurring in tune A would be 435.5Hz. If I were using that Earth frequency in my work and tuning instruments to it I would also likely be using A=435.5Hz. But I don't use it, nor am I one who subscribes to the idea of the hyper-dominance of specific numbered frequencies. But then I already made my case around that, at least in relation to 432, in the opening post of this thread! Thanks, Rich. I forgot about that. I know that for some others it makes sense, but it would never occur to me to use such a formula for that purpose. Nor to use the result as the basis for any further hypothesis or calculation. The best way to test whether the earth has a frequency would be to build a huge sound generator and blast ol' Gaia with super loud tones at various pitches. If it blows up, that's its resonant frequency. But I suppose that'd be "impractical" and "too expensive." I like the quotes from Aristoxenus. Mathematics is not the best way to arrive at tuning. All tuning systems include adjustments to compensate to make the tuning sound good. The assumption among sound healers is that specific musical notes have specific effects on specific tissues. If this is so, what are these relationships? As far as I know, no one has discovered any such correspondences. if they are discovered, it will not be achieved with acoustic musical instruments. If specific frequencies can be used for specific healing applications, the gentle sounds of acoustic instruments will not be effective - they're not strong enough. Focused sonic electronics, which are already in use, will be the way of the future. In other words, we are working on a macro level with acoustic instruments. We are working with the client's nervous system, mind, emotions and spirit. We are not necessarily having any effect on a cellular, micro level. I don't know why people assume our cells are so easy to manipulate. To effect cells, it likely requires a more powerful and focused instrument. These are being developed for sonic surgery and other applications. So, for all of us using acoustic instruments, we should focus less on the possible cellular effects and more on the subjective experience of the client. Most of what is happening in a sound healing session is self-regulation. It's a big assumption that there is any cellular change, never mind DNA change. I think you both raise good points about the 432 paradigm that has become more and more popular due in part to pseudoscientific theory and discussion over the last couple decades. There is nothing that makes me cringe more than people re-mixing classic songs and performances in order that the sounds we hear are "in tune with the universe"!!! But I also think it is important to recognize the importance of the fact that there are harmonic relationships in the cosmos. Few of them would be considered justly intonated (if any). Nonetheless it would be equally as unscientific of us to turn our attention away from the ratios that our solar system provides simply because they are not at perfect intervals. Think of what happens when you play at a higher amplitude on any instrument. Whether we are doing it for accent or from poor technique, amplitude modulation is possible based essentially on how hard you strike or blow the instrument. I think the tuning of the cosmos is constantly reeling from this kind of effect. And the modulation occurring even between planets and asteroids is something that a lot of fixed pitch instruments like gongs and tuning forks cannot inherently replicate. furthermore, I agree that equal temperament is a frustrating system. However, it is only fretless instruments such as voice or fiddle that truly exist in a justly intonated world. Almost every other instrument has a compromised tuning system and therefore, I don't see the equal temperament argument as sufficient to refute the usefulness of tuning to 432 in order to approximate 136 when wanting to be intonated with the frequency of the Earth's year. The case is far from closed on this subject. And I only hope that debunkers and proponents alike can continue to work together on studying the topic in order that we can all move forward with grace and harmony as our goal. Study what topic? Just because a few people insist that there is such a thing as planet tones doesn't mean it exists or that it's something to study. Personally I find it meaningless and even if the planets do make sound, it's still meaningless. Icebergs make sound right here on earth - why isn't that part of sound healing? I also disagree that you say it's a "fact" that there are harmonic relationships in the cosmos. I think the essential dilemma is that people confuse human perception with reality. Sound is 100% perception. The harmonic relationships are created in the mind of the listener. The mind translates movement into sound. Reality is a hugely complex, chaotic and largely hidden world of innumerable vibrations of every sort. The movement of particles associated with sound is just one type of disturbance in a very turbulent universe. If we could perceive what was really happening, we wouldn't be able to fathom or function. So, planets move but they don't displace air and no one is there to listen, so really they don't make sound. So the old koan, does a tree falling in the woods make any sound? No it doesn't. It displaces particles in the air which move and cause a physical disturbance in a large area around it. But if no one is translating those disturbances into vibrations and interpreting those vibrations into sound, then they make no sound. Like many opportunities in life, working with sound provides the opportunity to abandon theories and ego and come face to face with a more open glimpse of reality. Covering this glimpse with theories about planet tones or chakra tones is only a distraction. In my mind, chakras are pretty blinders that obscure the truth. Planet tones are a trick of the mind that distracts from the real cosmic big picture. Actually, sound only needs molecules spaced at intervals that correspond with its wavelength to propagate. Therefore, planetary bodies do emit sound. However, you cannot hear them because the sounds are 20 - 40 octaves below human hearing. Yet as you say acoustic instruments are gentle. So perhaps more intense vibratory modalities are needed for certain types of treatment. in other ways acoustic energy is all that is needed to manipulate matter. Combine that with the gravitational waves that encompass the known universe and there may be more to cosmic energy than you are willing to admit. if you've ever felt into the old hermetic/Taoist adage "as above, so below", you may want to begin investigating the orderliness of reality instead of the chaos. Art comes from life and life comes from art. The reflection of this and the use of structure in our favorite works of art prove that chaos is not the supreme fundamental of the universe when it comes to harmony. Every planet in the solar system has harmonic properties with its neighbors and with itself. Dig deeper.